Amplify your 6th sense with HD Rumble! HD Rumble emphasizes world shaking events and allows the player to feel a slow pulse that grows when close to friendly spirits, while a hurried vibration warns the player of angry entities nearby. Young Elena Elkhorn embarks on a harrowing journey to find her missing father and discover the secrets of the Willows Mansion. A unique amulet she received from her father allows her to astral project her spirit into a ghostly-realm and communicate with the dead. 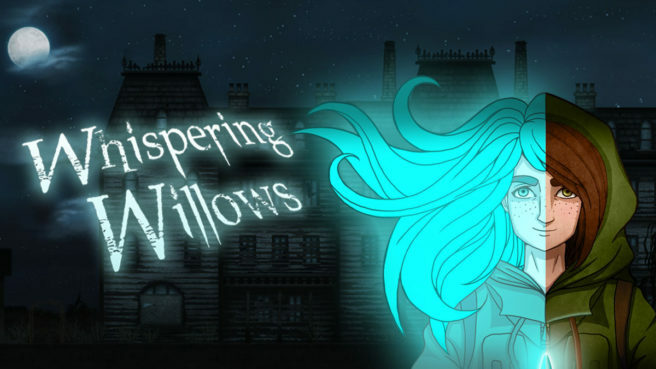 Use your astral projection to solves the mansion’s tricks and puzzles, help the lingering souls, and uncover all of the secrets in Whispering Willows. Whispering Willows is up for pre-order now on the Switch eShop. Pricing is set at $9.99.